Following her walking the runways & attending shows during Paris Haute Couture Fashion Week, Winnie Harlow jetted to Berlin, Germany to attend the Hugo S/S 2019 Berlin Fashion Week show. 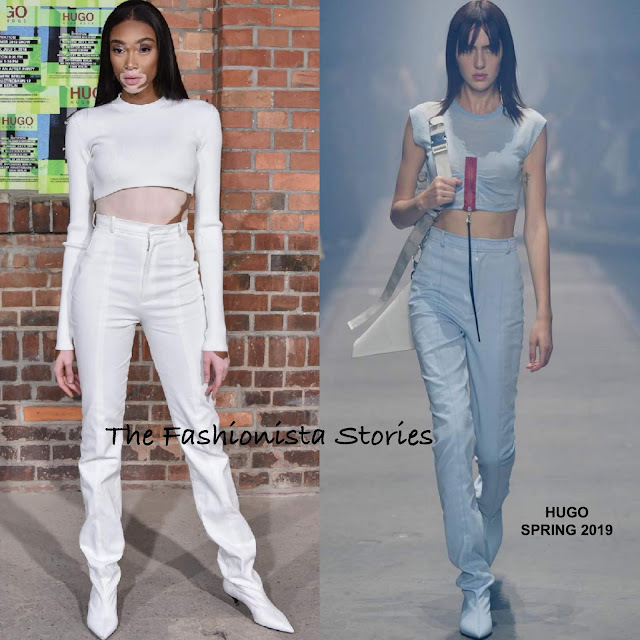 Winnie posed for pictures wearing a white long sleeve crop top and HUGO SPRING 2019 white, high-waist boots trousers which made it's debut during the show. I love this all white look on Winnie, it's simple but with a chic, flirty appeal. Keeping the styling simple, she finished up with minimal make-up and straight off-the-shoulder tresses. Are you feeling Winnine's all white look as well?